Advanced Persistent Threats (APTs) are in every network. They rely on you being overwhelmed by alerts and unable to follow up and respond to attacks - it typically takes days, weeks, sometimes months to resolve a cyberattack (the Ponemon Institute found it takes 32 days, on average, to close out a cyberattack). This is time you don't have. 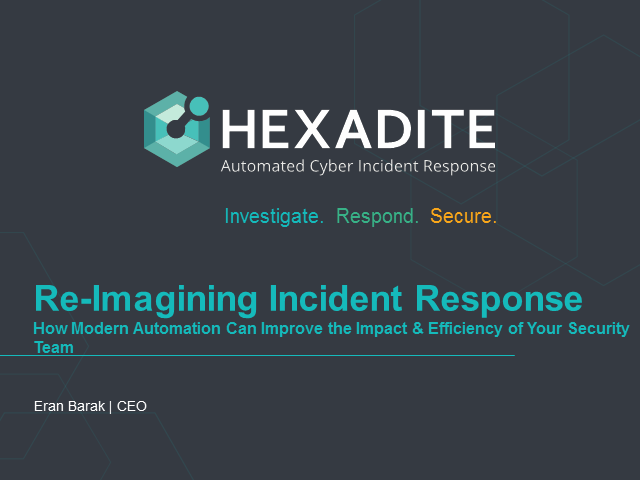 Attend this webinar to see how to change this paradigm and mature your incident response so you can quickly uncover, contain and remediate attacks in your network.